2017 marks the tenth year of Centric DXB and getting to this point involved a series of perspicacious business moves that challenged industry titans. 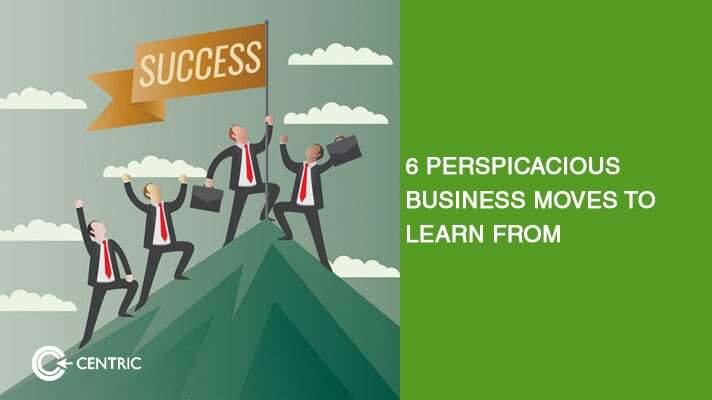 Here are the six business manoeuvres that inspired me. When Lou Gerstner was hired in the 1990’s to save IBM, he initiated a program whereby 50 managers were tasked to travel the world and meet at least 5 customers in person. “Operation Bear Hug” was focused on listening to customer concerns, evaluating internal skills to meet those concerns, and working a way to include IBM in the solution. This simple tactic in client services helped IBM see things from the customer’s perspective for once, prompting the launch of ‘e-business’ solutions, that helped clients get started with the Internet by providing the necessary infrastructure. In a sector notorious for producing know-it-alls, the clutter shattering approach employed by IBM literally saved its life. The following year, IBM had set the course to achieve unparalleled growth in earnings and empowered managers to take on challenges due to the importance placed on customer face time. Walt Disney wanted to create an experience. A theme park like no other. So he set out to birth his vision of the Magic Kingdom. There was only one problem. He couldn’t directly purchase large quantities of land, or it would attract the kind of competitive and regulatory attention that Disney was infamous for despising. The next best option was to instruct trusted representatives of several holding companies to purchase large properties from multiple land owners. It was decided that the Magic Kingdom would be built at the center of all the properties purchased so as to drive up the value of the surrounding real estate. Over time, Disney corporation successfully petitioned for the recognition of the properties as two separate cities – Lake Buena Vista and Bay Lake – and requested that a special government body oversee the management of those cities. This series of perspicacious business moves are the reason that today, the Disney corporation is empowered with governmental powers of zoning and taxation over its properties. When Henry Ford introduced the Model T in 1908, it would take 12 hours to produce each car. By the end of 1914, Ford’s 13,000 factory workers made 260,000 cars annually. The competition had a combined workforce of 66,000 factory workers and produced just 280,000 cars. Two reasons are simultaneously attributed to this gap. For one, Ford introduced the assembly line innovation which reduced the time it took to build a car from half a day to a tenth of a day. The second reason was that in 1914, Ford nearly doubled the daily wage of factory workers from US$ 2.34 to US$ 5, while docking off one hour from their daily working hours. This resulted in nationwide praise and support for praise, which fueled demand for the Model T, as a gesture of supporting a capitalist that valued his employees. The latter is credited as Ford most impactful of perspicacious business moves that had a significant impact on reducing employee turnover and absenteeism while attracting smarter labor. This is easily the most ruthless example in this list of perspicacious business moves. Generating over US$ 10 billion in 2015, it pretty much dominates the addressable market for eyewear. When Oakley entered the market at a price that undercut Luxottica’s range, it dropped the brand from its seven thousand worldwide stores. This led to the decimation of Oakley’s market share, stock price and, sales. And wouldn’t you know, Luxottica stepped in to “save” them. When Robert R. Taylor formed Minnetonka Corp. to compete with the likes of Unilever, P&G and, Colgate-Palmolive, he did so with the first and only (at the time) liquid soap. The product itself, branded as SoftSoap, could not be patented, which meant that if his product was a success, the market leader could swoop in and undercut Minnetonka Corp. in every which way. To counter this, Robert approached the only two U.S. based manufacturers that mass produced the bottle pumps and collectively purchased the entire year’s capacity as inventory. In doing so, none of the industry leaders could enter the market even if they wanted to. In six months the company sold US$ 25 million worth of SoftSoap. In 1987, Colgate-Palmolive paid him US$ 61 million for two of his brands, Village Bath and SoftSoap. Two years later, Unilever purchased the parent company for US$ 376 million. At the turn of the 20th century, it was an open secret that the German chemical cartel would stay away from the US so long as American chemical businesses stayed in their own country. But Herbert Dow, the founder of Dow Chemical, had invented a way to produce bromine cheaply, selling it for US$ 36 per pound for industrial purposes. The price fixed by the German’s was US$ 49 per pound. As time passed, Dow Chemical needed to scale and chose to enter England, effortlessly beating the German’s on price. The cartel responded by entering the U.S. market by pricing bromine at US$ 0.15 per pound, undercutting the price of Dow Chemical. The counter to the German’s was nothing short of ingenious. Herbert Dow arranged for a trusted party to buy up all the bromine from the German’s at US$ 0.15, repackage it as his own and sell it to the European market for US$ 0.27 per pound. The cartel was dumbfounded as to how Dow Chemical was still in business, so they cut prices to US$ 0.12 and then US$ 0.10 but Dow Chemical kept on buying from them indirectly, repackaging it and selling it in Europe. By the time Dow Chemical perspicacious business moves shattered the monopoly of the German chemical cartel in Europe, it was too late for them to afford a response.